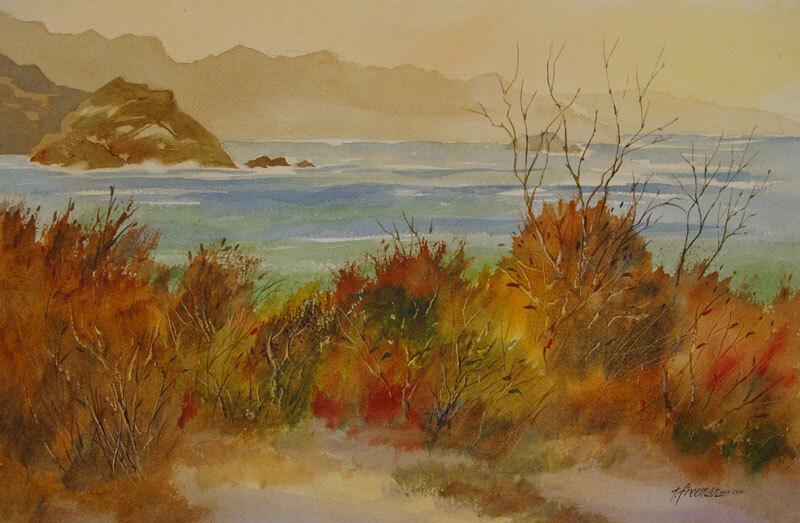 Thomas Freeman Original Watercolor Painting: "Morning at Point Lobos"
There was a real stillness - in the air and water. And I liked the bushes and weeds in the foreground of this watercolor. The fog gave an aerial perspective to the painting. Painted wet section by section.